You may have taken the ALS ice bucket challenge, soaking yourself and sharing the video online. If you did, you also helped researchers make a breakthrough in the fight against amyotrophic lateral sclerosis (ALS), the irreversible disease that damages nerves and causes paralysis and death. Investigators said research funded by the ice bucket challenge, which swept social media in 2014, helped them find an ALS gene called NEK1. The newly discovered gene gives researchers a new target in the fight against ALS, also known as Lou Gehrig’s disease. More than 80 researchers in 11 countries collaborated on the ALS gene mapping project, making it the largest study of inherited ALS, according to the ALS Association. Researchers examined genes in more than 1,000 ALS families and an isolated population in The Netherlands. They also analyzed genes in 13,000 sporadic ALS patients —that is, patients who didn’t inherit the disease from someone in their families. They believe the variations they found in the NEK1 gene lead to a loss of function. Bernard Muller, an ALS patient, came up with the wacky idea of an ice bucket challenge to raise money for research. “I’m incredibly pleased with the discovery of the NEK1 gene adding another step towards our ultimate goal, eradicating this disease from the face of the earth,” said Muller. The ice bucket challenge required people to dump water on their heads or someone else’s, then challenge others to do the same. Soon, the stunt went viral. Hundreds of thousands of people—from groups of friends to celebrities and sports stars—were drenching themselves and posting video online. It paid off – the craze raised $115 million for the nonprofit ALS Association. The group spent $1 million of that money on Project MinE, as the gene-mapping collaboration is known. The ALS Association said two-thirds of the funds raised in the ice bucket challenge will go to research and the rest to global awareness about the disease. The Providence Health Library describes ALS, including its treatments and therapies, in an article here. If you or a loved one is struggling with ALS, talk to your health care provider about symptoms and how to maintain the highest possible quality of life. 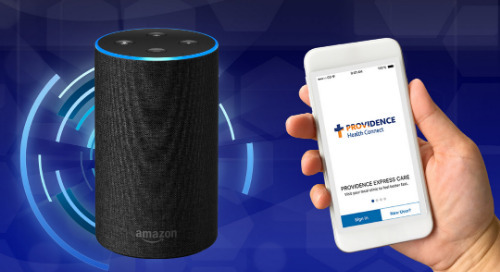 If you’re looking for a health care provider, you can find one at Providence here.